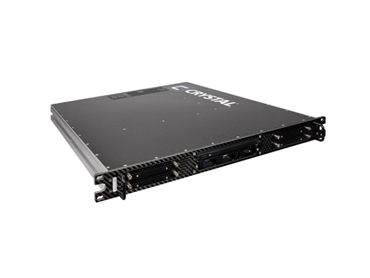 Crystal Group presents a new 1U rugged carbon fibre server designed and field-tested to provide failsafe and long life performance in extreme conditions. Part of Crystal's rugged carbon server product line, the new RS114PS18 delivers high-end computing performance in a 1U chassis with a depth of 45.7cm to fit almost any rack space. As processing performance continues to improve, Crystal is dedicated to minimising the SWaP envelope of the RS114PS18. The ultra-lightweight carbon fibre chassis makes this product line a popular choice for airborne, shipboard, land-based, and transit case applications. This portfolio of rugged and industrial computing products from Crystal is engineered and tested to withstand challenging environments, meet and exceed military and industrial standards, and provide the latest COTS technologies and benefits, such as cost, availability, upgradability, and flexibility. The Crystal Group is represented in Australia and New Zealand by Metromatics .